The F-Type Checkered Flag Edition finishes without the manual. Though Jaguar only offered their 6-speed manual transmission on the F-Type with the V6 engine, we were still pretty thrilled that you could actually get one. After all, great driving cars deserve manual transmissions for ultimate control and that three-pedal and clutch synchronization that delights. Well, that's officially over for the F-Type, as the British brand has bumped off the stick for 2020. Back the fall of last year, Jaguar showed us its new 2020 F-Type Checkered Flag Edition with special upgrades, but it was only for automatic versions of the four and six-cylinder F-Types. There was a reason for that, apparently. Jaguar was planning to eliminate the manual transmission option altogether, and now that's been confirmed. For the 2020 model year, the F-Type is only available with an eight-speed automatic. The days of roping your own Jaguar are officially no more. Even the mad 575 horsepower F-Type SVR doesn't get a stick shift. There are very few premium brand cars that offer manual transmissions these days. Aston Martin, BMW, and Porsche are still hanging on, and we're thankful for that. The new Genesis G70 thankfully is offered with a stick. Chevy also continues to do so with their Corvette and Camaro, and those qualify as more premium sports cars. The Ford Mustang keeps it, too. But the fact that buyers of cars like this tick the manual transmission option so infrequently that it makes it harder for manufacturers to continue to offer it is one reason behind Jaguar's change. Not that this makes up for the loss of the stick, but the F-Type does get some nice upgrades in the form of Apple CarPlay and Android Auto as standard equipment. There are also new paint colors known as Eiger Gray and Portofino Blue. And if you didn't notice, Jaguar has added a potent 296-horsepower, 2.0-liter four-cylinder engine to its rear-wheel drive coupe that costs $62,625 after the $1,025 for destination fee. The sun sets on the manual transmission. We're getting very emotional about it. The F-Type Checkered Flag Edition, based on the F-Type R-Dynamic trim, will cost you a pricier $72,925 for the coupe and $75,325 for the convertible in a more powerful 300-hp, four-cylinder for only the RWD configuration. You can also get the special trim in the 380-hp, supercharged six-cylinder, AWD model that costs $95,525 for the coupe and $97,925 for the convertible. 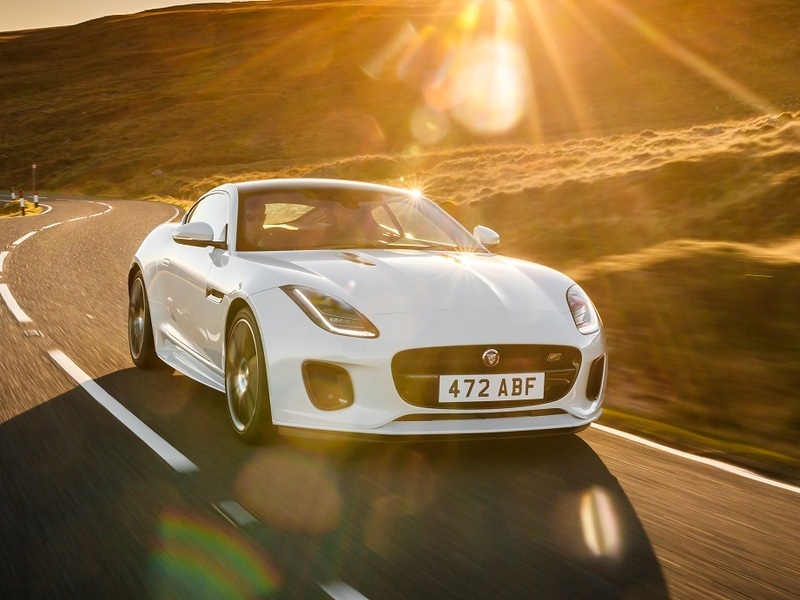 The F-Type is still one of our favorite sports cars for its beauty, handling, and refinement. But the fact that the stick is no more makes us pretty sad. This is a trend that started a while ago, and it will continue until the manual transmission is no more.